This theme is developed keeping in mind your website's good ranking on search engines. The theme has good use of semantic tags, primary contents are above the secondary contents and various widgets provide very good internal site linking. This theme includes following custom widgets: Author Profile Widget, Recent Post with Thumbnail, Top Posts with Carousel Support. It also support following widgets based on external plugins Recent Tweets Widget and Instagram Feed Widget. So, What are you waiting for? 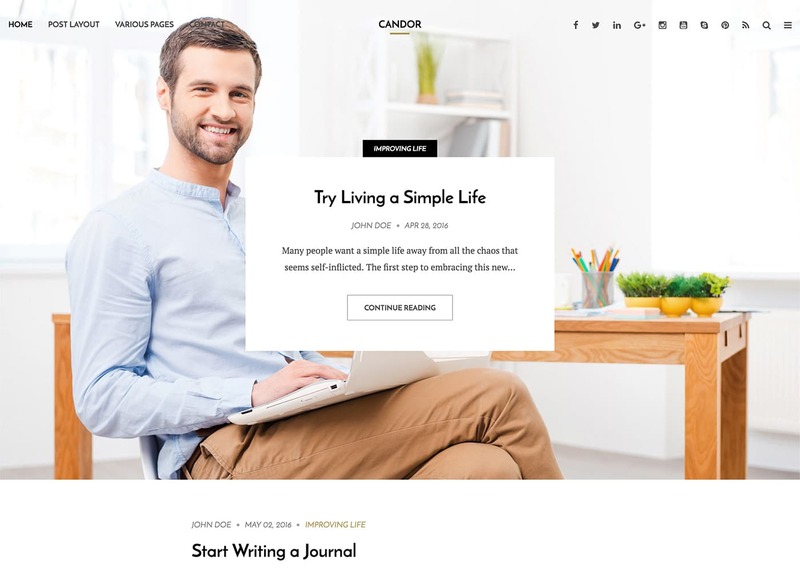 Install Candor and take your website to next level.